Revenue in the Personal Care segment amounts to US$131,245m in 2019. Revenue is expected to show an annual growth rate (CAGR 2019-2023) of 8.5%, resulting in a market volume of US$181,598m by 2023. User penetration is 19.0% in 2019 and is expected to hit 27.9% by 2023. The average revenue per user (ARPU) currently amounts to US$93.92. In global comparison, most revenue is generated in United States (US$52,264m in 2019). The eCommerce market segment Personal Care includes the sale of medical, pharmaceutical and cosmetic products via a digital channel (including the sale of prescription drugs), for example via online pharmacies or via the online shops of drugstores and other individual traders (e.g. cvs.com, walmart.com). Alongside medicines, this market segment also includes cosmetic, cleaning and care products, nutritions as well as medical products for private use (e.g. blood pressure monitors, disinfectants and dressings). All monetary figures refer to the annual gross revenue and do not factor in shipping costs. Reading Support Revenue in the Personal Care segment amounts to US$131,245m in 2019. Reading Support The Personal Care segment is expected to show a revenue growth of 11.5% in 2020. Reading Support In the Personal Care segment, the number of users is expected to amount to 2,132.3m by 2023. 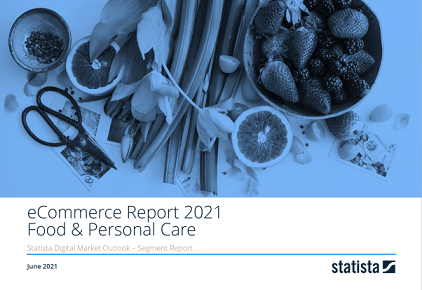 Reading Support User penetration in the Personal Care segment is at 19.0% in 2019. Reading Support The average revenue per user (ARPU) in the Personal Care segment amounts to US$93.92 in 2019. Reading Support In the year 2017 a share of 36.0% of users is 25-34 years old. Reading Support In the year 2017 a share of 67.5% of users is female. Reading Support In the year 2017 a share of 40.2% of users is in the high income group. Reading Support With a market volume of US$52,264m in 2019, most revenue is generated in United States. Reading Support With a rate of 49.3%, the user penetration in the Personal Care segment is highest in South Korea. Here you can find more studies and statistics about "Personal Care".